Dynamic Digital Advertising, a leader in digital advertising and professional custom website design in Philadelphia, PA, New Jersey and Delaware, is experienced in creating corporate identity packages that are professional and compelling for companies of all sizes. Whether your company is new or well established, DDA creates original designs and logos in tune with your industry and corporation. A consistent image based on typeface, type size, colors, graphical elements and logo design, is useful in helping to brand your company with a successful, industry leading image. The designs and logos should be consistently used for most business correspondence such as letterhead, business cards, envelopes and mailing labels as well as all print, electronic and interactive media. Buck the “Big Pharma” stereotype with DDA Medical’s advertising ideas for the pharmaceutical industry. Our memorable medical marketing strategies put your brand in consumers’ vocabulary, maximizing your ability to help them. Whether it’s direct-to-consumer or business-to-business, DDA Medical’s professional pharmaceutical advertising is the medical marketing service with the best ideas for global medical advertising. When you use our direct advertising, pharmaceutical products will fly off the shelves. Our medical advertising agency offers, among many other options: Medical Website Design and Development, Medical Print Design, and Medical Trade Show Graphics. For all your pharmaceutical company advertising needs, contact us. DDA’s reputation as an award-winning video production company will ensure your reputation as a company that values consumer satisfaction. A full service advertising agency, DDA’s staff includes everyone from scriptwriters and programmers to videographers and designers onsite to offer preproduction video services, production video services, and post production video services. 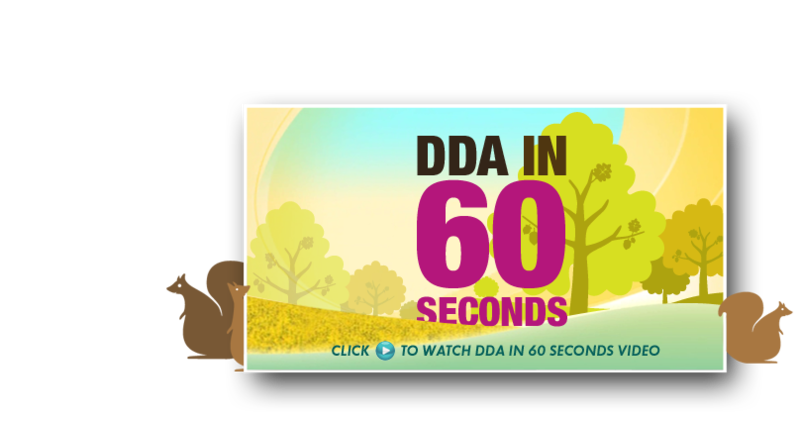 Making a corporate video with DDA is your company’s chance to not only give information, but to avoid being lumped with the sometimes corny professional videos of the past. Our effective video editing means no more bored consumers or employees. The Corporate Sales Video, Retail Video, Medical Video, and Virtual Reality Video are only a few of our video production services. Since 1994, Dynamic Digital Advertising has lead the custom website design and development field through a proprietary fourteen-step planning and construction process. This process builds a powerful website which earns high rankings on top search engines including Google, Yahoo, and MSN through high levels of organic search engine optimization. Furthermore, the DDA website design and development process results in a stylish and easily-navigated architecture which provides the product, service, and corporate information that your company's website visitors want. DDAs professional custom website design provides the engaging experience that converts these visitors into your customers. Dynamic Digital Advertising offers one of the nations the largest listings of graphic design and digital advertising services to clients in a variety of industries. Graphic design for logos, for both products and companies, as well as branding works to greatly enhance the corporate identity. Graphic design for corporate identity enhancement improves company presentation to consumers, business partners, and investors, enhances goodwill, and, as a result, increases sales. 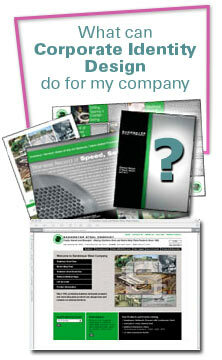 To enhance your corporate identity through DDAs graphic design department, call today. What's New in Corporate Identity Today? Corporate identity is becoming increasingly important to companies. In fact, more and more companies are establishing a strong, solid corporate identity not only with their customers but within their employees as well. While corporate identity has been increasing, some companies need to continue to be on the lookout.especially when it comes to Internet pirates. For more information, read up on the latest trends and news pertaining to Corporate Identity with the articles listed below.